SVG, or Scalable Vector Graphics, is an application of XML to provide vector graphical information in a lightweight form. Unlike the other rasterized image format such as PNG and JPEG, SVG can be scaled without loss of image quality. Creating SVG graphic can be designed using Adobe Illustrator and other graphics editing softwares or manually using XML/SVG DOM tags and settings to create element, shapes or paths. 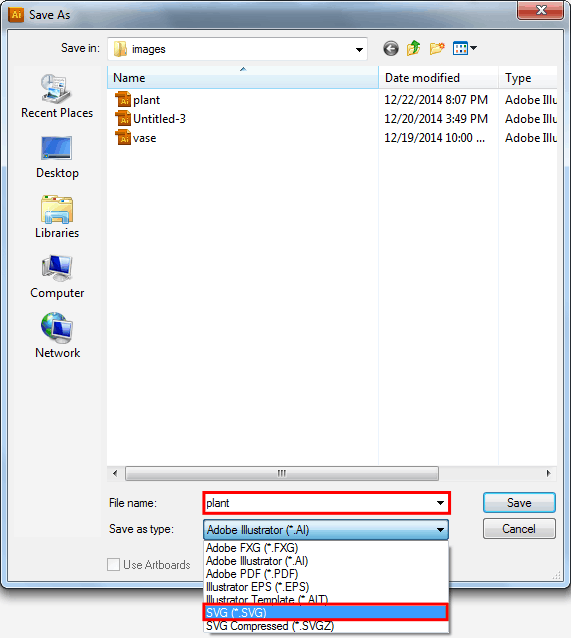 One of the best ways to export an image to SVG format is by using Adobe Illustrator. I already created the final SVG icons, text and illustrator that we will be using on this tutorial. To export your Adobe Illustrator files to SVG, simply go to File->Save As and then put your desired name of the SVG format you want to export. On this example I’ll use “plant” and for the type format select SVG. 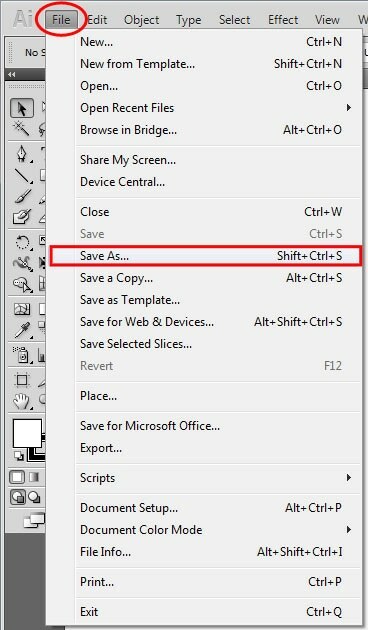 Next, the SVG option window will appear; make sure version SVG 1.1 is selected under profiles and then the link radio button was set selected on images location. For the CSS properties, select Style Elements. 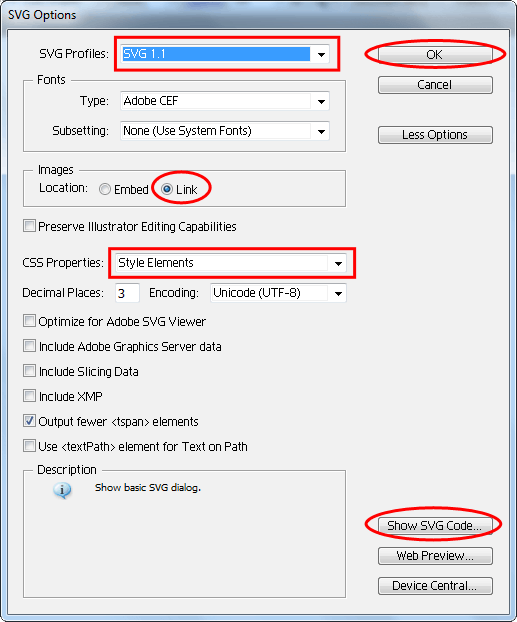 If you want to check the SVG codes you can simply click the “Show SVG Code” button on the bottom part. To finish the export process simply click on the “OK” button. SVG as stated above is an XML based file and some browsers allow you to insert an SVG image on HTML. There are different ways to include SVG on HTML documents. This is the preferred way to import SVG images. Using the <object> tag along with the <embed>, it renders the image in a vector format on different browsers. For the rest of this tutorial, were going to use this method to include our SVGs on HTML documents. See the example below. For this part of the tutorial, I created three SVG flat icons that we’re going to work with. The first thing we need to do is insert them on our HTML document <embed> tag and then wrap them in an <object> tag. Now it’s time for the CSS, where we we will manipulate the hover effects of the SVG. To do this, we’re going to apply CSS on each SVG images classes via internal CSS. Using the default SVG class provided by Adobe Illustrator when these SVG icons were exported, we’re going to add CSS3 transition property to create a smooth fill effect. The fill property is the same with background-color in CSS while the stroke property is the same as the border-color. To create a pop-out hover effect we’re going to use CSS3 transform scale and manipulate the behavior of the fill. The next SVG animation that we will look on is about drawing text SVG. The text.svg file contains the words “SVG TEXT” within a box. So basically what we’re trying to achieve here is that we will make the border rotate in a dash form and then add an animation delay before drawing the text. We’re still using the <object> and <embed> tag here to insert our SVG file into our HTML document. For our CSS we’re going to use stroke-dasharray and stroke-dashoffset to create a smooth line drawing effect. Stroke-dasharray attribute basically set up the flow of dashes and used to stroke paths while stroke-dashoffset determines the distance between dashes. We will use CSS3 @keyframes to attain this effect and then set up the animation delay for the st1 class which is the actual class of the text svg itself. For the last part of this tutorial, I created two vector elements. The first is a vase and the second is a plant image. The goal is to achieve an animation so that when we hover the mouse on the vase the plant will grow on the top of the base element. Now for our CSS, we need to set up the id container to position and relative and give it a specific height and width. Next, let’s add styles on both vaseobj and plantobj. Basically, the styles that we’ll be adding here is the position set up of our elements. Then on our plant element, we’ll set up a CSS3 transform property of scale and then add some transition to create a smooth effect. Now let’s add the juicy part. Using the window.onload event we will assign our ids on different variable. Then using the onmouseover and onmouseout we will add the class grow to the plant element to create a smooth growing effect. Though we can use <object> along with an <embed> tag to include an SVG image to our HTML document, developer Alexey Ten introduced some tricks on how we can use vector and provide a fall back for rasterized version of our SVG. This means using the <svg> tag we can use both the href and src attribute at the same time. Check out the example below. For more information about this you can read his post regarding this. SVG is one of the best ways to put XML graphics online that will enable your HTML documents to be smaller, faster and interactive. With these simple ideas on how you can animate SVG images, check out Mozilla’s SVG guide for more ways to animate SVG documents. And that’s it! Hopefully, you’ve learned something in this tutorial. I hope that all major browsers (as well as IE) will support SVG in the near future. This will make scalable graphics a lot better.